Susan Pickard graduated from the University of San Francisco with a BA in English, where she also did her graduate work and received a California Teaching Credential. 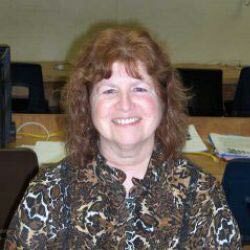 She has been a teacher for 39 years, the last 13 years of which she spent as a K-8 literacy coach and BTSA (Beginning Teacher Support and Assessment) Coach in several school districts. As a professional developer, in literacy, her work includes coaching teachers one on one in their writing/reading workshops, where she models mini-lessons and ways to confer effectively with students. She also works with small and large groups of educators to design literacy curriculum. Sue has extensive experience facilitating writing workshop training and scoring institutes. The majority of her literacy work has been in Pacifica and Cabrillo Unified School Districts, in the San Francisco Bay Area. She has been a literacy consultant for Accelerated Literacy Learning since 2007.